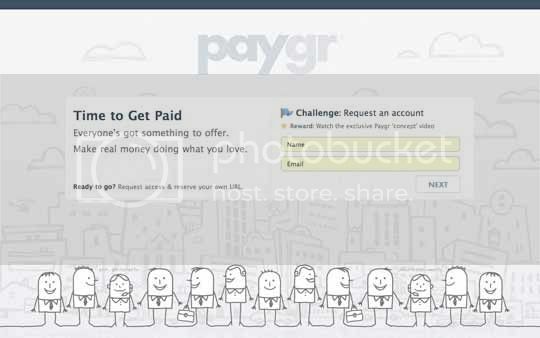 Paygr - Let's Make Money Online! People always talk about wanting to make more money online, it's a great thought but with all the competition out there it's still going to be a lot of hard work. One way to get ahead of everybody else is to be there first. I mean the internet is so full of competition that it always pays to be the first one to offer anything. If you have something to offer be it a service like administrative work or your great writing skills you can always go to Odesk or some of the outsourcing websites out there that connect you to somebody that's looking to out source a specific skill or job. Thing is everybody's already there and it'll be hard to get connections when you're just starting out so what I suggest is you look for a similar site that's just starting out. A smaller user base means you can get a better chance of getting noticed hence get your service out there and get more clients. Paygr is a new service that's just starting out. Right now they're just reserving names and urls so it's a great place to start your online career. You can go ahead and sign up on the source link below and just wait for the site to launch. Hopefully we can all make an extra buck or two.